With many years in the building and construction industry, we know what high-end customers demand from a product and company and we deliver it. Our employees are focused on delivering top quality service and are committed to one-on-one attention. 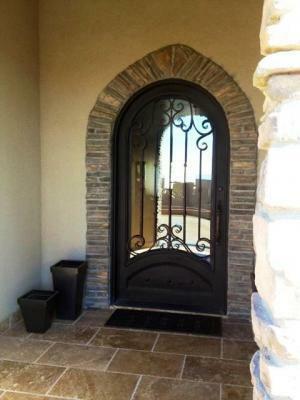 This is a door we built for a family in Queen Creek Arizona. Regardless of the size of your project, Signature Iron Doors will fulfill all of your ornamental iron needs. Call us and come visit our showroom to find out how you can receive a Signature Iron Entry Door.